Franklin's Sam Mayer is a 15-year-old race car driver. In some ways Franklin's Sam Mayer is your typical teen learning to drive until you realize this 15-year-old is a professional race car driver. "I was driving on Oakwood Road," said Mayer. "There was a little ice patch, and I got loose and I was like oh my gosh, no! And it was kind of scary. I was like 'ok, never again.'" 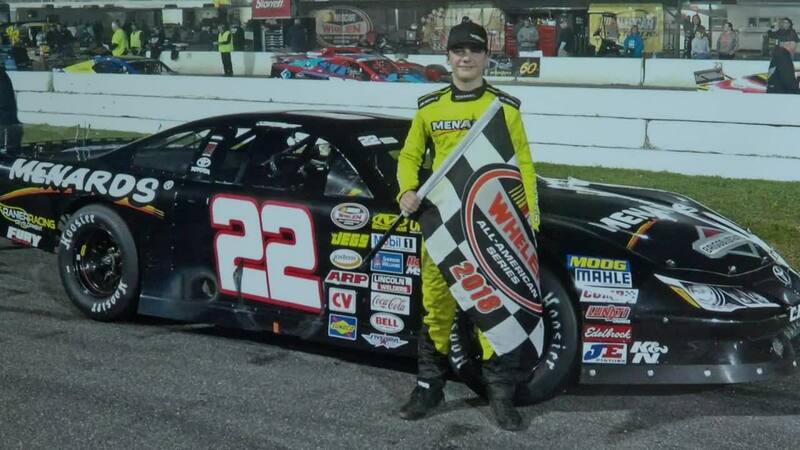 But Mayer is on track to make it big in the racing world running K&N Pro Series, ARCA and eventually NASCAR Trucks this season. "I haven't been on national TV too much so I mean it's still like, 'Oh wow, I'm out there. Look at me!'" said Mayer. "So I mean, it's just really cool." Which means he's on the verge of becoming really famous. Would he want to get a commercial at some point? "That would be awesome! I just, that would be cool!" Mayer said. But already with so many wins, trophies and championships? And beyond his years maturity? The future is oh so bright. "I, like every other kid who's in NASCAR right now, is they want to get to the top level of NASCAR which is the Cup series," Mayer said. "And I just wanna, I wanna make a full career out of this and just enjoy it man. It's, I just can't wait to get out there and to be the best I can be."